Once a guide is active and properly set up, you can use it to assist you in creating a drawing with perspective. The guide will display its axes going through your mouse cursor as you move it inside your drawing space. 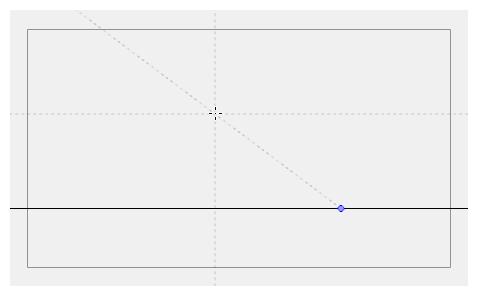 When you start drawing a stroke, your drawing tool will become locked to the axis that most closely matches the angle of your stroke, forcing you to draw a straight line along that axis, as if you were using a ruler or a set square. Guides can only be used with the Brush, Pencil, Stroke or Line tool. The selected guide will only be visible when one of these tools is selected. 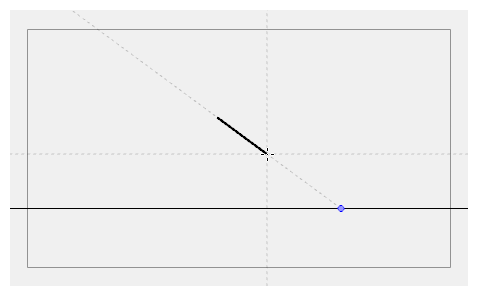 NOTESome guides do not lock onto a horizontal or vertical axis line by design. At any time, when drawing with the Brush or Pencil tool, you can hold down Shift + Alt before starting the stroke; this will force the tool to draw a straight line that locks at every 15 degrees. You can also achieve the same effect with the Line tool by holding down Shift before drawing a stroke.